I finally finished Carla's round Robin. Again 4 months late. I did the outer ribbon border. She was very happy with it. 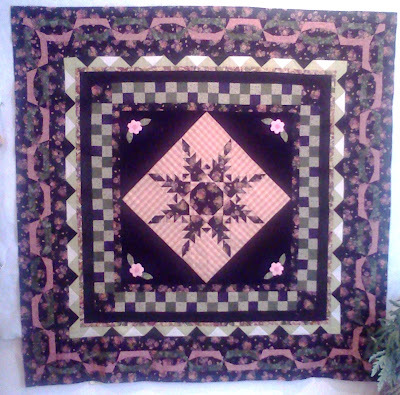 June went and let me go through her stash for the pink and green ribbon fabric, because I didn't have the right shade. Here is a picture of two of my dear friends. They have helped my through out all my good and hard times. I don't think of it as bad times, because I learn from every lesson in life good and hard. 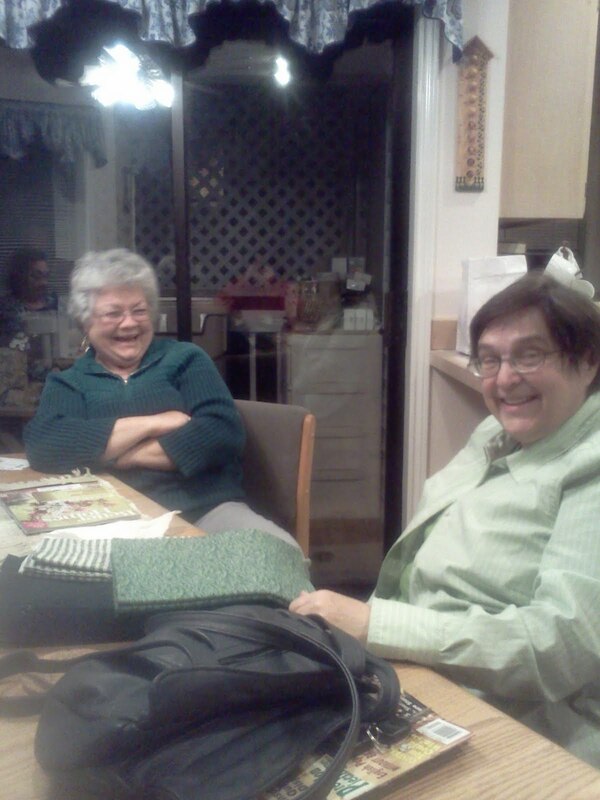 June is on the left and Elaine is on the right. Now if only I can get a picture of Suzanna my other friend who is an angel. I am thinking maybe bubbles? Maybe it is time to work on that UFO list on the left. I have worked on other things instead. They are also UFO's. What fabulous work you've done............ & enjoyed seeing your friends - looks like they were having a ball!!! Beautiful! Love the colours, so very pretty.